Tayebeh Alirezaee has no recollection of her life in Iran during the revolution of 1979. It’s understandable given she was an infant at the time. But the trauma of the subsequent conflict between Iran and Iraq, a war that raged from 1980 until 1988, is still fresh in her mind. Now 41, the Melbourne-based immigrant, mother of two and vegan mountain ultra-runner, grew up in the Iranian capital of Tehran – her family affected significantly by the 8-year conflict which resulted in the deaths of around 1 million Iranians. Alirezaee lost her happy and energetic cousin; her brother has metal in his body after being hit by shrapnel. A friend in Tehran believes he is likely the only person left alive from their junior school year. “We were bombarded, we would go to school and there would be a ‘red alarm’ and we’d all go down into bunkers. You would hear noise and then come out; I remember as a child, I would go to the rooftop and see which side of town was affected,” she recalls. At just 7 years old, Alirezaee, one of six children, joined her father, an experienced hiker, and his friends to traverse Tochal, the highest peak in Tehran’s Alborz mountain range at 3,933 metres. It was a 17-hour climb. 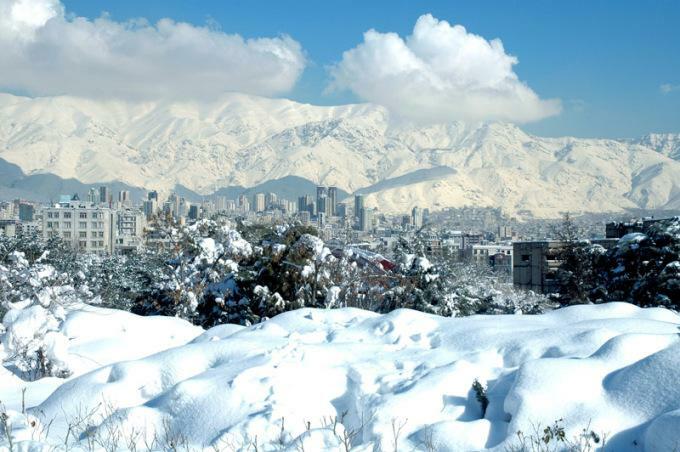 Mount Tochal sitting behind downtown Tehran. Source: Siamax - English Wikipedia. Alirezaee’s father refused to own a car. If there was a family gathering at a local restaurant, Alirezaee and her father and sometimes some of her cousins would “walk through nature”, leaving in the morning and meeting others at the location by lunchtime. Her other siblings would drive. “That was probably something that would be quite hard for a kid,” she says. Alirezaee picked up mountaineering again while studying an undergraduate engineering degree at Amirkabir University of Technology (Tehran Polytechnic). She is adamant that her life is an example of the contradiction between women in Iran slotting into traditional roles, bound by rules and religion, yet being able to pursue any career they choose. She was the only women in her class at university. “It was intimidating and scary. I questioned myself for a whole year asking, ‘what am I doing with my life, why am I here?’ I was probably lucky because the war was over and after that the country was trying to find its identity,” she says. While at university in Iran, Alirezaee would spend her weekends with friends caving and climbing in what she described as an incredible university life. She graduated in 2000 at 23 years of age and landed in Australia in 2003 with her older husband, also an engineer. He had permanent residency as a skilled immigrant. They never intended to live in Australia and only planned to do some study and head back to Iran. But unfortunately, the political climate in Iran worsened and the government became extreme again, she says. Alirezaee started working as an engineer within a month after arriving in Australia. Several years later in 2010, when her first child was two, she put a team together for the 100km Melbourne Oxfam Trailwalker. They completed the event in just over 16 hours. Alirezaee ran the 2011 Melbourne Marathon in 3 hours and 45 minutes. Since then, her running has gotten rather extreme in a very short time. She has knocked over about 50 ultras, including 10 events at a distance of 100 miles. This includes three completions of the Northburn Station in New Zealand; one Great North Walk and one Ultra Trail in New South Wales, Australia; as well as one Andorra Ultra Trail in the Pyrenees mountains between France and Spain. 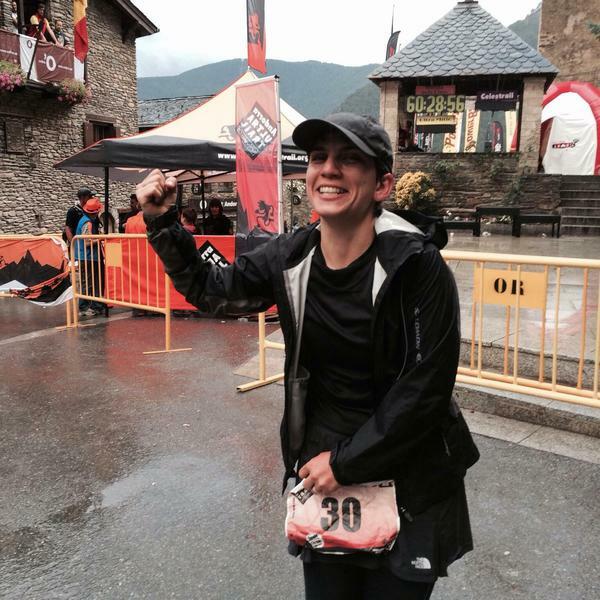 Tay Alirezaee after completing the Andorra Ultra Trail in the Pyrenees mountains. Alirezaee was also part of a team in the Pettite Trotte à Léon, a 200-mile (320km) event that's part of the iconic Ultra-Trail du Mont-Blanc (UTMB) race. This event follows the Tour du Mont Blanc long distance walk through France, Italy and Switzerland. Her team pulled out at the 200km mark during that race. They got lost a few times, which ate into their allocated hours. Coupled with an inability to sleep, it quickly became impossible to move onto the next checkpoint. But it was last year’s Tor de Geants, a 330km ultra which takes place in Aosta Valley in Italy that was Alirezaee’s ultimate challenge. Runners are allocated 150 hours to complete the course, which has a total elevation gain of 24,000 metres (78,700 feet). Mt Everest in the Himalayas rises to 8,848 metres (29,029 feet). Spaniard Javier Dominguez Ledo, 43, also an engineer, set the course record last year in 67 hours and 52 minutes. In the early hours of a cold morning during one of the last days – Alirezaee thinks it was day five – she simply sat on the trail, catatonic. She woke up in hospital. Staff were trying to feed her. She wouldn’t eat. She wasn’t talking to anyone and speaking a different language, possibly Persian. She can’t remember. Alirezaee was alone, deciding not to employ a support crew, and spent around 13 hours in hospital after receiving fluid and undergoing blood tests. Travelling in cold weather at low speeds due to painful quadricep muscles had caused her body temperature to drop and critical systems to stop working. Alirezaee has an admiration for the unfussiness of endurance sport, to learn to be simple to go with nothing. Ultras enhanced her life. “I have learnt to focus on things that matter and when things go wrong, to hang in there; there’s always a bright side. I well and truly appreciate every time I go out that it’s an absolute and complete privilege to be able to do these things,” she says. Alirezaee uses a ‘happiness alarm.’ Every hour, this alarm reminds the mountain runner to check her surroundings and focus on why she is putting herself through countless hours of physical trauma. Her failure to complete Tor de Geants is no bother; it’s all about the experience with ultras serving as a tool to help her cope with the pain that invariably comes with being an adult. “At least I have a choice, a lot of people don’t even have that. I have an able body that can think and move. Some people can’t,” she says.